Relocating is difficult. Regardless of the time, distance, season, and amount of goods, we can simply state that relocating is a challenge. On top of everything else, if you decide to relocate all by yourself without any help from anybody else, you are just increasing your problems and making things more complex and tougher. Although we have already made it clear that relocating is a challenge in itself but it increases when the external factors become more complicated. One such example of external complication is the climate and the season. Relocation becomes hard-hitting in the winter season. During this time of the year, the days are short and chilly which make it difficult to work. However, if you hire experts and professionals such as the packers and movers, you can save yourself from the winter menace. 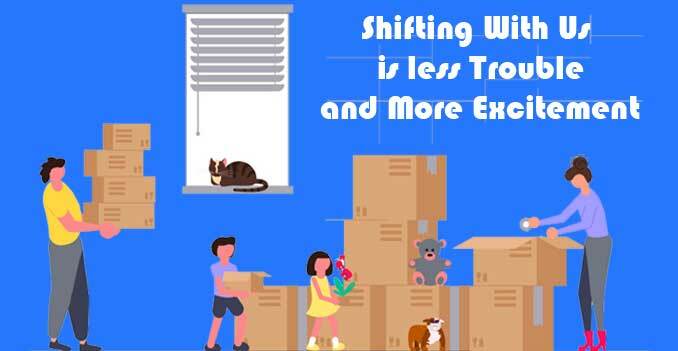 The movers and packers address the complexities of the shifting process with the help of extensive knowledge, advanced technology, and dedicated manpower. The committed teams of moving companies assist the clients throughout the complete process starting from consultation, to the final relocation. The winter season will not be that terrible for you and your relocation process if you live in Mumbai since the temperature during the winters ranges from 16 to 24 degrees which are cool but not freezing. January is the coldest month experiences 14- 22 degrees which are still more than that in Delhi or Lucknow. The mild weather reduces the challenges of relocation to some extent, yet you cannot deny the problems which may arise due to the shorter length of days and frequent cool winds. 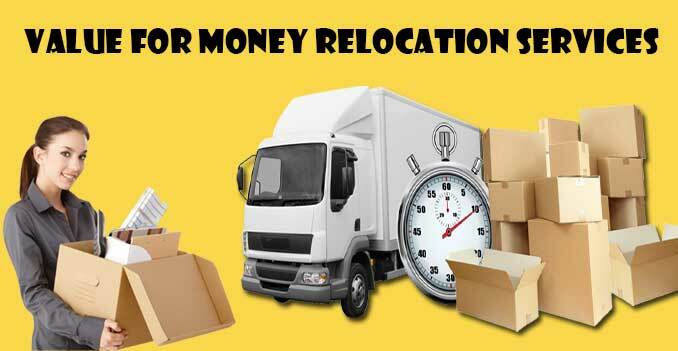 However, if you have the knowledge and support of the best packers and movers in Mumbai, relocation will definitely become easier and less hard for you. The movers and packers in Mumbai customize their packages according to the client’s preference and design them exclusively for the weather during the winter season. Furthermore, websites like PMDIR offer a special platform to people where they can not only get hundreds of moving companies under one virtual roof but also get all the information regarding the new city, relocation tips, and cheap and easy decoration hacks. Relocation is not a simple job which can be performed by one or two people. It requires teamwork and efforts of a lot of people. One slight mistake and things can go worse than you would have possibly imagined. Every step is important and requires thoughtfulness and concern. Relocating is not something that you do very often and are habitual of. The event is life changing and affects the mental, physical, and emotional aspect of every person. Leaving the loved ones and taking the memories to a distant place full of strangers and unknown areas is difficult enough let alone the packing and moving part. Apart from that, there are many other things which demand your attention and time like the clearance of all the dues and bills, change of address in bank accounts etc., transfer of children to other schools, and many more. When you are free from the burden of packing and transportation of goods, you can manage these jobs. Therefore, hire the moving companies and make room for every important thing during relocation. Looking for Business Opportunities? Is Mumbai a Better Option? India is growing rapidly and you cannot lag behind. If you are in search of better job opportunities, you might need to go through some major changes in life. To attain something you need to sacrifice something as well. Maybe you are not in the right place and require a more developed region that can fully utilize your potential. Living in a rural area where job and business opportunities are limited will not help you grow to a higher level. You need to move to a place that can give you back according to your capabilities. Mumbai is one of the most rapidly developed cities in India. And this is the reason it attracts people from all over the country to try out their luck. Mumbai is also known as the commercial capital of India and there is a reason behind it. The city generates about 6.16% of the total GDP of India. The progress helps the city generate more job and business opportunities and results in the growing population of the city. There are a lot of areas where you can dig in and establish a successful business. 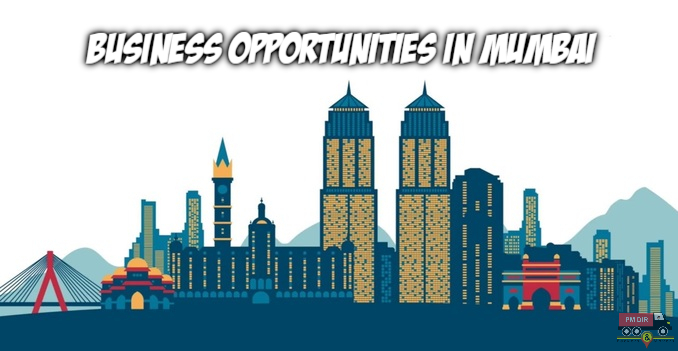 Let us discuss some of the business opportunities with which Mumbai can help you. Groceries Delivery Service: As the city welcomes thousands of teenagers and students each year, a delivery service will prove to be a great start-up in Mumbai. Getting easy access to good quality groceries is all people want in their hectic schedule. You can have it online or rent a shop for better sales. Blogging: If you are interested in writing and documenting your life and educating people about the subjects you know well, you can blog and earn a living. This will be something you love doing that will also help you pay your bills. You can write about yourself or fashion, electronics, clothing, lifestyle. The choice is endless and fact that you are your own boss makes it even more creative and unique. Mumbai is a place where teenagers very keenly follow such trends which will help you more. Event Management: Mumbai is a city that never sleeps and you can be the one to manage it. People in this city are always ready to party and half of them are the ones who throw one for others. Organizing and planning a party is not an easy task and this is the reason event management has been a great business opportunity for people having good organizational skills. This way you will get to know more people and will also give you a prosperous life. Online Trading: Another business opportunity that is at its peak right is online trading. You can sell goods online through websites or create one for yourself. 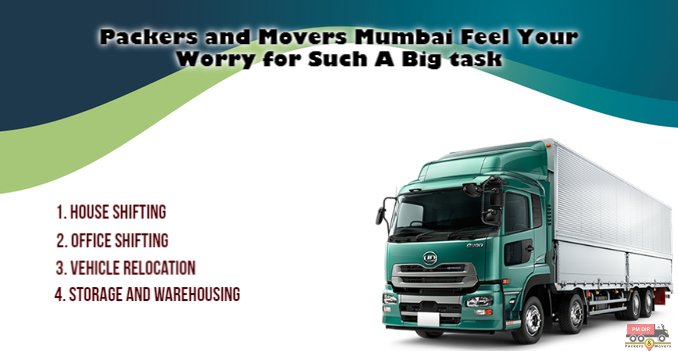 Moving to Mumbai is now a lot easier, all you need to do is hire packers and movers in Mumbai and let them carry out your relocation. 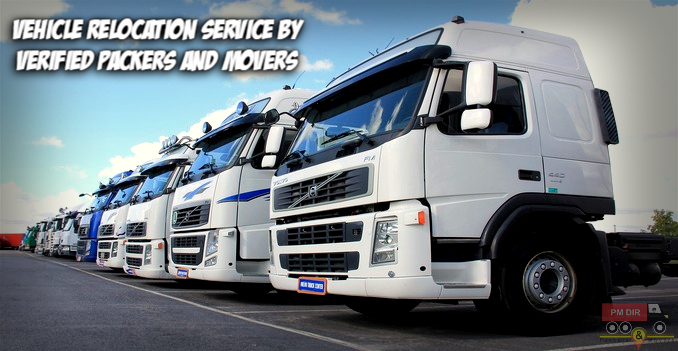 Be sure packers and movers services are good and the service providers you hire are genuine. It is quite well-known that packers and movers have made relocation very easy. Now, book your relocation date today and get relaxed. How to pick the best car carriers in Pune? Knowing how to select the best car carrier company can be a very challenging task. This is an extremely competitive industry filled with awful stories and incalculable problems. You really need to do vivid research on whichever car carrier company packers and movers you are considering the transport of your car whether in Pune or any other city. To make sure your vehicle arrives on-time and no damage is caused to it. How much credible are they: Credibility should be your priority whether you are hiring movers and packers or car carriers. Many companies that are new to the industry are not very well aware of how to actually move cars and other vehicles. These relocation Companies will have a hard time meeting your expectations and will most probably end up telling you that they require extra money to get the vehicle moved. Use an established and credible auto transport/relocation company that knows what they are doing. Check their customer reviews on google and other sites: There are ample freelance review sites on the web. If the company you are willing to hire has been in business for any amount of time, there will be some or more reviews about their company somewhere. Be cautious about review sites for the car carrier/packers and movers in Pune. In fact, some of these sites permit transporters to reject reviews if they are paid members of the website. one must sort their reviews by the lowest star rating and look at the bad reviews carefully to examine whether the selected company is right or not. Various sites like google, yahoo, yelp, etc. will allow you to check out the reviews about the company you are considering. Do they provide insurance cover: Every car carrier company must have insurance cover to haul vehicles? Make sure that the company you hire provides an insurance cover in case of damage or any other problem. This could end up saving your money and you can relax without worrying about your expensive vehicle. These are the following few things that you need to keep in mind while hiring movers and packers Pune. Moving an office is very different from a domestic move. Relocations like these comprise a lot more than you may think. It is not like any relocation where you have to move your personal belongings to a new house but commercial relocation requires you to focus on the operations in the office, the comfort of your staff and acknowledgment of your clientele. All of this needs to be looked upon while you plan your move to a new place. You may think of this as a hectic procedure but this part might be one of the stepping stones to your success. This is a huge step and moreover because of the range of the movement is a lot as compared to a domestic move. Such moves cannot be handled by you and your friends alone, but you require a bunch of experts to help you out to execute a successful move. Here are a number of tips and tricks that will help you get a comfortable moving experience for your office relocation. Empty File Cabinets -Before you move, be sure you empty out your entire file and document cabinets as they should be packed horizontal in your moving truck. This is the reason; you cannot leave your important files in the cabinet which can damage them while they are in transit. You should pack all such documents separately with waterproof packaging which will help even if you are moving during the monsoons. You should pack these into categories and label each package accordingly so that you don’t get confused while unpacking. Hire Professional Movers -The next step comes of hiring packers and movers for your office move. If you think, you can carry out this relocation without the help of movers and packers; you are wrong. A commercial move requires a lot of toils and will be very stressful which can steal your focus from other important things. 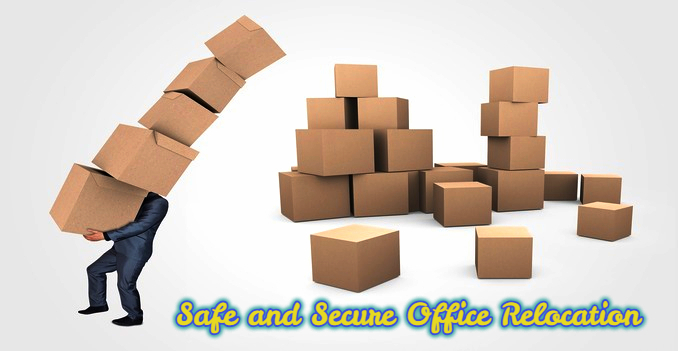 So it is better to employ packers and movers if you strive for a safe and successful move. With their skills and efficiency, you will be able to achieve your move before time and will take care of your belongings and will transport them safely to the new place. Finding packers and movers in Mumbai might be a task as well, but you can find a bunch of them online, just be sure of their authenticity.